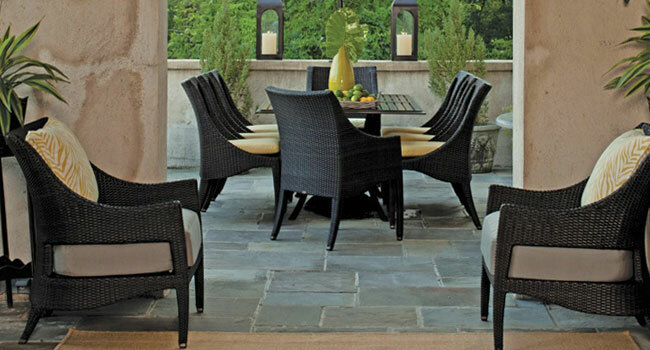 Our founder, Bew White, started Summer Classics to redefine outdoor furnishings with classic, timeless designs. Twenty five years in the industry, he has been able to set the standards for quality, finish, use of materials and design. We have established a legacy of the highest standards using in-house testing facilities for ultra-violet ray resistance, repetitive stress tests, finishing techniques and fabric abrasion. We use only the finest alloys, acrylic and polyester powder coatings, and solution dyed fabrics. We have designed and colored our exclusive Colores™ Color-fast, solution-dyed acrylic fabrics to bring the inside elegance outdoors. We use the finest brass and stainless fittings, self-leveling foot glides, and custom made swivel mechanisms. Summer Classics is found in the finest stores, hotels, restaurants, shops, and homes in the United States and abroad. To visit Summer Classics’ website, click here.